The Garneau women's Florence multipurpose jersey is capable of hitting the road or trail, but its capabilities span far past traditional cycling jerseys. The Garneau women's Florence multipurpose jersey isn't what you would think of when you hear the term "cycling jersey." Yes, it's definitely capable of hitting the road or trail, but its capabilities span far past traditional cycling jerseys. With its super comfortable relaxed fit, this jersey is in its element for anything from weekend road rides to just lounging around the house in the evenings. It'll hit the indoor cycling room in style and be right at home on the floor lifting weights as well. When it comes to technology, it has our sweat-activated Zircon fabric that cools you down when things heat up, a textured fabric that is extremely comfortable, moisture-wicking and fast-drying, and a flattering adjustable waistline. 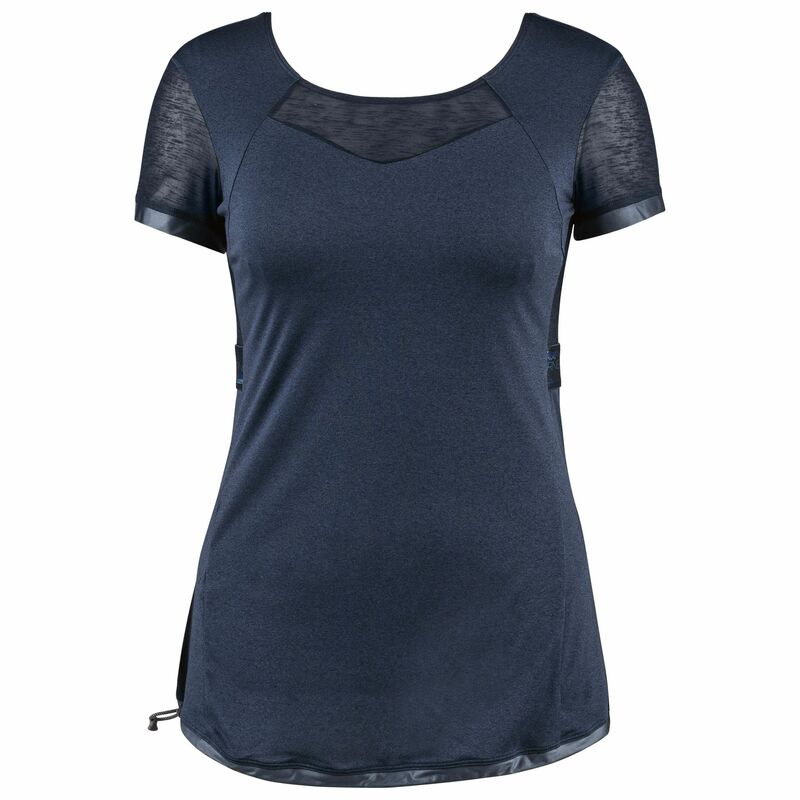 Jersey Fabric : Zircon - Burnout Mesh: Light and breathable - Beverly : Lustrous knit with incomparable stretchability and comfort.